‘I’ve been seeing Heidi for about six months in relation to pain and discomfort. Her incredible knowledge, skill and support have made a big difference to the pain level and my understanding of my physiology. Heidi is also fantastic at adjusting my routine when the pain flares up and my programme needs to be reviewed to cater for it’. 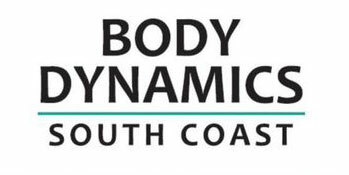 I have been an active member of the Body Dynamics Gym for over 4 years. I have tried various exercise programs and gyms and have not stayed with any of them for very long. But Body Dynamics is different. It is a small, personal gym where members are known to staff, receive personalised programs and a friendly welcome. The staff are all qualified exercise physiologists who design and instruct clients with individual program’s suited to their fitness level and abilities. The individual’s program is continuously but gently upgraded. It is well equipped and I cannot speak highly enough of the services provided by Body Dynamics. I started going to Body Dynamics more than 6 years ago. The reason I chose Body Dynamics is that it has less hype than other gyms. There is no fancy gym attire and no loud music but instead professional exercise physiologists to draw up a personalised exercise program. If you need help with an exercise there is someone to give advice. I had never been one for joining gyms and instead tried to keep healthy with incidental exercise such as walking and gardening but as I got older this was not enough so I went to Body Dynamics to get exercises better targeted to my specific needs. Up to date I have remained healthy and so far medication free. 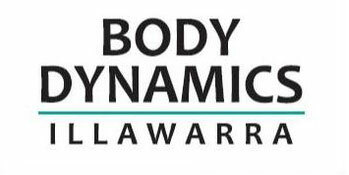 I would like to commend and recommend Heidi and all her staff at Body Dynamics, who have always been helpful and kind when I attend. Especially, before and rehabilitation after, my knee replacement. The exercises I was given, helped my road to recovery much sooner than I would ever had hoped! Remember, if you don’t move it, you lose it!! I have been using BoDI for the past 8 years and can recommend their facility to anyone who wants fitness, health, rehabilitation from illness or accident. Their facility is a friendly, family type atmosphere with all who use this facility.